The legislature is on a two-week spring break. Rather than votes this report contains some interesting or noteworthy recent bill introductions. Introduced by Sen. Sylvia Santana (D), to let Detroit officials exempt the city from a law that requires all school employees, and municipal employees with specified exceptions, to contribute at least 20 percent toward the cost of the health insurance benefits, or contribute a specified dollar amount to the cost. This 2011 law allowed local governments except for Detroit to avoid complying with a two-thirds vote of their governing body. Referred to committee, no further action at this time. Introduced by Sen. Sylvia Santana (D), to impose a 10 percent “amusements tax” on tickets to a for-profit zoo, garden, museum, concert, opera, play, sporting event, amusement park, festival and others. Money would be used to pay police and fire pensions and other post-retirement benefits. Referred to committee, no further action at this time. Introduced by Sen. Jim Ananich (D), to decriminalize “social wagering” in pools of 100 people or less where the relationships between them are social, and the bets are $25 or less. This would apply to things like office football or NCAA tournament betting pools. Referred to committee, no further action at this time. Introduced by Rep. Donna Lasinski (D), to favor state-based bidders to not grant a state contract for goods and services to a lowest bidder that is not a Michigan-based company before re-opening the bidding for 30 days to give state-based firms that submitted higher bids another chance, subject to the discretion of state officials. Referred to committee, no further action at this time. Introduced by Rep. Tyrone Carter (D), to deposit fines related to air emissions permit violations in a separate state account, from which 70 percent would go to local governments grants for related health assessments, education and training programs, and 30 percent on benefits to “environmental protection communities,” defined as those “facing a disproportionate environmental burden using indicators such as sensitive populations, socioeconomic factors, exposures, and environmental effects.” Referred to committee, no further action at this time. Introduced by Rep. Angela Witwer (D), Rep. Kristy Pagan (D) and Sen. Jeff Irwin (D), respectively, to increase the state earned income tax credit from an amount equal to 6 percent of the federal EITC, or to 20 percent (HB 4298), or to 12 percent (HB 4324) or 30 percent (SB 107). This is a “refundable” credit for low income workers (meaning that a check is sent to the taxpayer for the balance of the credit exceeding taxes owed), with the value determined largely by how many dependents a recipient has. Gov. 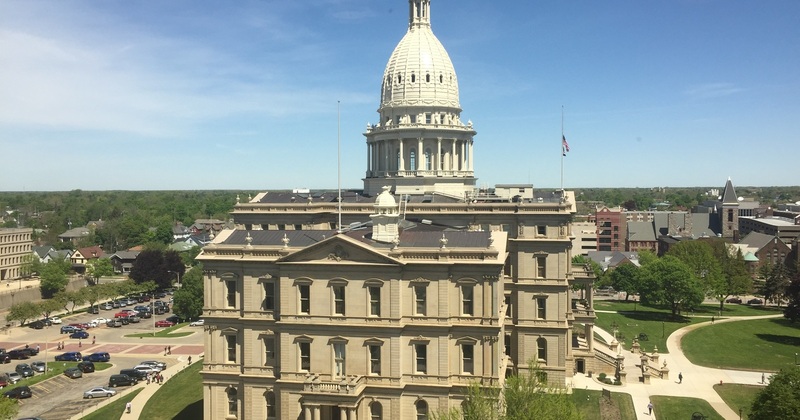 Gretchen Whitmer has proposed increasing the credit from 6 percent to 12 percent, which is what House Bill 4324 would do. Senate Bill 107 would increase the state EITC to 30 percent of the federal level. All these bills have been referred to committees with no further action at this time.